1. Stay Away from The House – Set up the turkey fryer more than 10 feet away from your home and keep children and pets away. Never leave it unattended. 2. Find Flat Ground – The oil must be even and steady at all times to ensure safety. Place the fryer on a flat, level surface and carefully gauge the amount of oil needed. 3. Use a Thawed and Dry Turkey – Make sure your Thanksgiving turkey is completely thawed and dry. Extra water will cause the oil to bubble furiously and spill over. If oil spills from the fryer onto the burner, it can cause a fire. 4. Monitor the Temp – Use caution when touching the turkey fryer. The lid and handle can become very hot and could cause burns. Also be sure to keep track of the oil’s temperature as many fryers do not have their own thermostats. 5. Be Prepared – Have a fire extinguisher (multipurpose, dry-powder) ready at all times in the event that the oil ignites. TAX DAY IS COMING, TAX DAY IS COMING!!!!!!!!!!!! 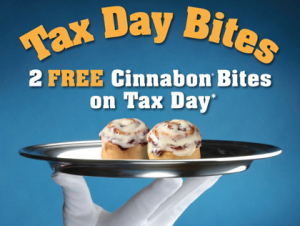 Nobody likes tax day it carrys a nasty stigma that forces people to cringe. 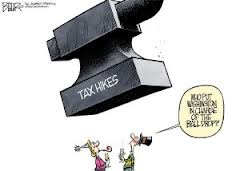 Plus with the sudden mad dash to raise taxes its even worse. Well there is a saying around my family it always tastes better when its free and I guess alot of businesses are willing to hand out alot of FREE. 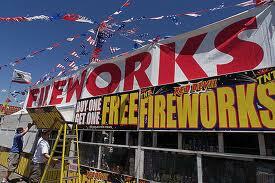 Here is a list of the various free items courtesy of Neil Sevedra with The Fork Report on KFI. Also Facebook users check out www.facebook.com/InlandDeals and get access to local deals at brick and mortar stores and online specials. Cinnabon: These guys are continuing their yearly tradition of offering two free Cinnabon bites to anyone who walks through their doors from 6 p.m. to 8 p.m. on April 15, no purchase necessary. You can find more details (and RSVP if you feel like it) on their https://www.facebook.com/events/497116730349346. Boston Market: You can get a “Big Rib-bate” (groan), as Boston market will be celebrating the launch of their St. Louis-style BBQ ribs by selling two ribs meals for just $10.40. Each meal includes a quarter rack of ribs with mashed potatoes and gravy, corn, and homemade cornbread. 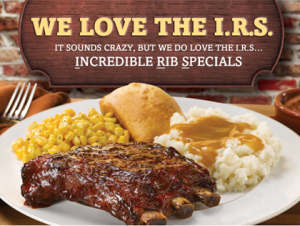 And if you can’t make it in this Tuesday, you can enter to win some free ribs, and get $1-off coupon, by visiting http://bostonmarket.com/ourFood/index.jsp?page=ribsirs . Chick-fil-A: This one’s pretty simple: Make a purchase on Tax Day, come back with your receipt in May, and get a full refund. Call ahead, though, because not all locations are participating, and redemption dates vary. 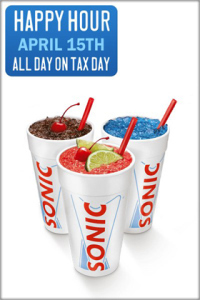 Sonic: All drinks and slushies will be selling for half off, all day long. 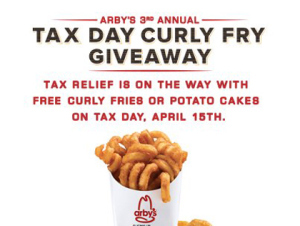 Arby’s: http://coupon.arbys.com/AprilArbysTaxday04152013/, and you’ll get a free value-sized order of curly fries or potato cakes. Panda Express: This is a big one: On Wednesday, April 17, if you print out http://www.pandaexpress.com/coupon/full/Free-SST-Coupon?utm_source=Facebook&utm_medium=Posts&utm_campaign=Samurai%2BSurf%2B%26%2BTurf (or show it to them on your mobile phone), you’ll get a free order of Samurai Surf & Turf. Bruegger’s Bagels: Get this coupon through their https://www.facebook.com/Brueggers/app_238652839613146, and you’ll get 13 bagels and two tubs of cream cheese for $10.49. 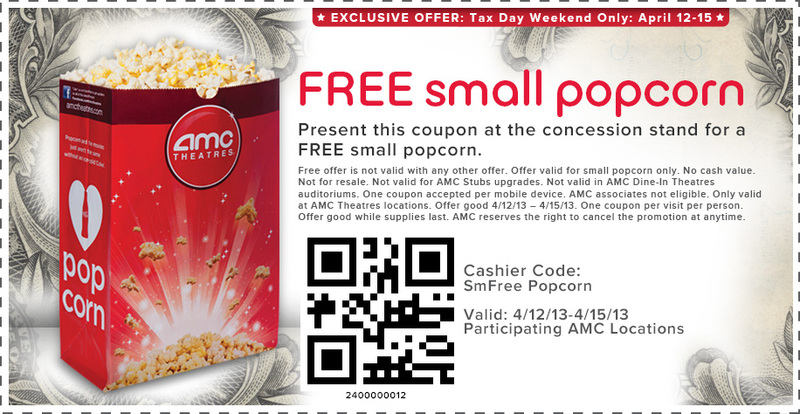 AMC Theaters: You’ll get a free small popcorn from April 12th through the 15th if you print out http://www.amctheatres.com/offers/tax-day-pr. Chili’s: If you purchase an adult entrée between April 16 and 18, you can score a free appetizer or dessert if you show them http://campaign.chilis.com/taxday2012/. 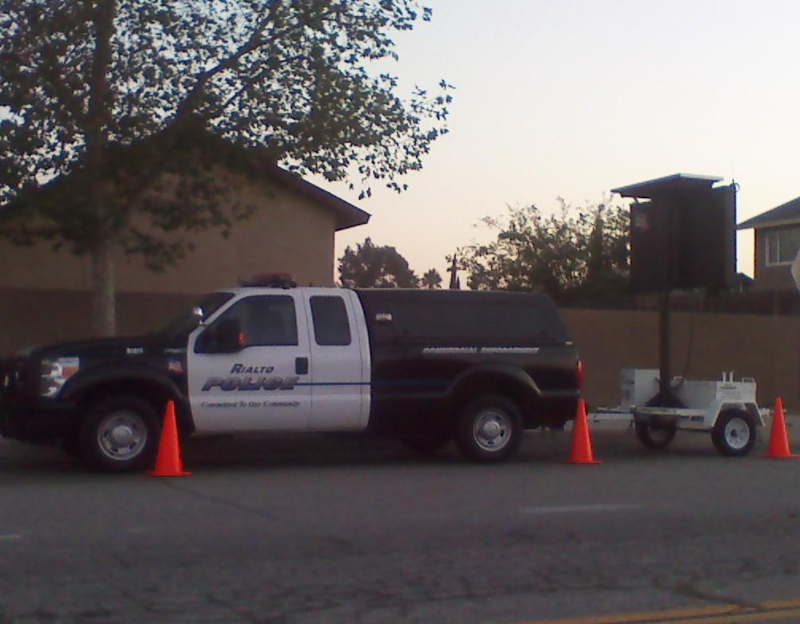 RIALTO – The lights and siren on Rialto police Cpl. Cameron Nelson’s patrol car left 5-year-old Nicholas Mingl doubting it had anything to do with Christmas. “This ain’t a Santa sleigh,” the Rialto boy said. 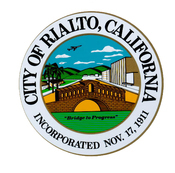 But thanks to Rialto police officers who took needy children on a Christmas shopping spree Wednesday, the boy’s outlook on the police and the holidays grew brighter. Law enforcement and fire agencies around the Inland Empire have been holding gift-giveaways for disadvantaged families the last few weeks. Many police departments participated in Shop With a Cop-style events, using donations to take children to stores for presents. “These kids would not have a Christmas if it wasn’t for this,” said Karen Huerta, Nicholas’ grandmother. Rialto police took 14 children to Walmart in Rialto, buying each child $50 in presents and another $40 for their parents or guardians. Families filled out applications and were selected by officers based on need. “Hopefully it gives them a better outlook on police officers – that we’re not just enforcers,” Nelson said. 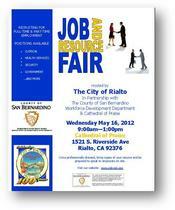 The Kiwanis Club, Rialto’s Police Officer Benefit Association and other donors pitched in for the gift money. Rialto Officer Cheri Schaffer walked the aisles with 6-year-old Julina Castro, who picked a few dolls and some clothes off the shelves. She also used some of her $50 to buy her mother a present. “It makes you feel good to come out with the kids and see their faces light up,” Schaffer said. 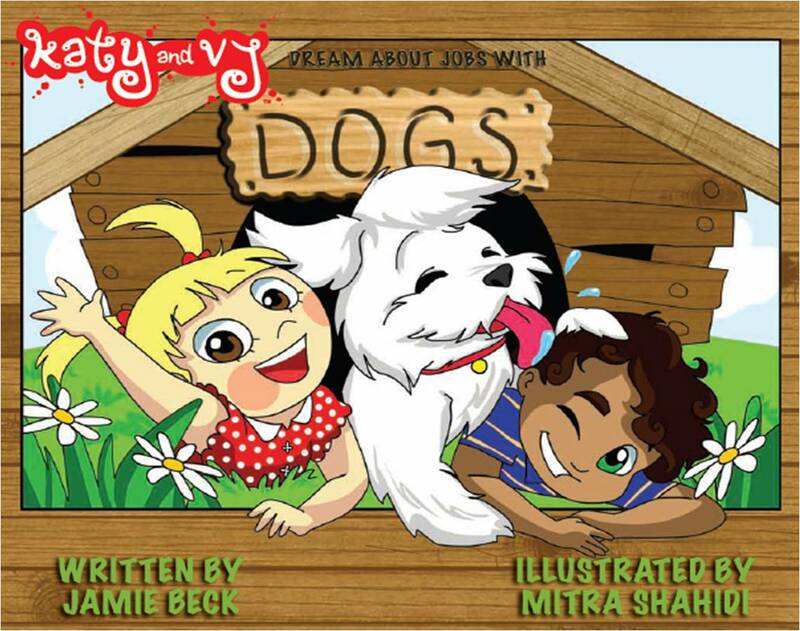 Visit their website and Childrens Boutique. Steven’s Hope for Children, Inc.
San Bernardino police used a different method to select children for their Shop With a Cop event. Police detectives picked children who were victims in physical abuse cases. Detectives, along with officers in uniform, accompanied nine children ranging from 5 to about 12-years-old, for a shopping spree. The department received $1,500 in donations from the Walmart Foundation. “It lets them know that your case is done, but we didn’t forget you,” said police Lt. Paul Williams. In Redlands, police took 27 children to Target, where they bought $1,800 in presents through police and community donations. Other agencies may not call their events “Shop With a Cop,” but it’s the same concept. Fontana police, who call their shopping spree “Heroes and Helpers” took 50 children shopping at Target on Dec. 15. They were selected by school district officials who recognized the children had a need for holiday help. But it wasn’t just police officers who took children on shopping sprees. Colton firefighters, along with the Colton Unified School District and Walmart donated money so 50 needy children could each receive $100 Christmas presents. 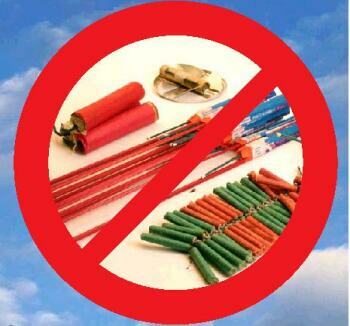 FROM 6:00 PM TO 11:00 PM ON JULY 4TH ONLY >>> CALL 421- 7245 TO REPORT ILLEGAL FIREWORKS. WILL BE THE FIRST THING YOU WILL BE ASKED. 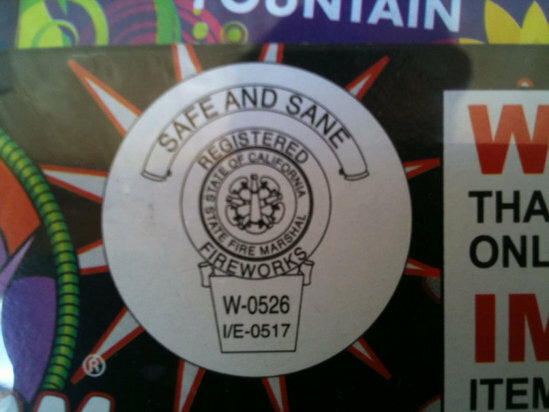 PLEASE BE SAFE AND HAVE FUN ON JULY 4TH!!!!! 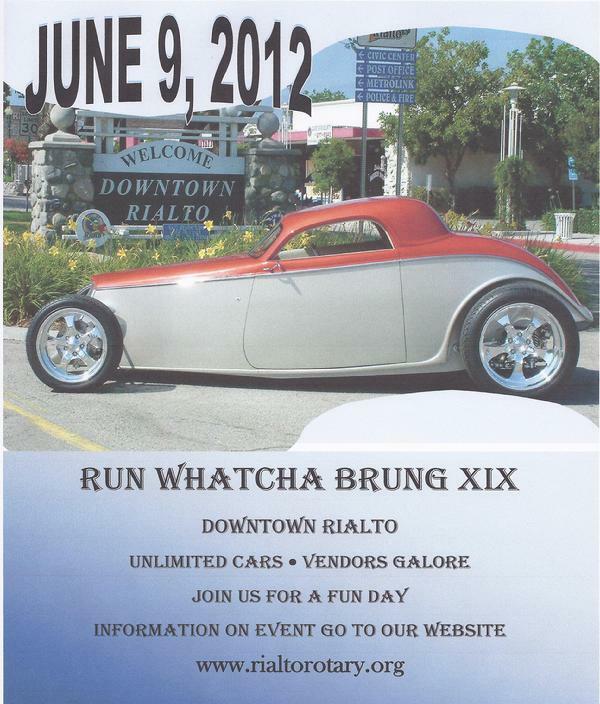 Every June Rialto gets to show off our local cars, interest has been dropping a little bit but it’s still a cool little show. I miss the days where it was a 2 day event which consisted of show and shine with burn out contest at the airport Friday night. Then Saturday it’s the full show with vendors and open header contests. The show used to fill up Riverside Ave from Foothill to the very bottom of down town, now it just barely fills in the down town borders. Even in its current shape it’s still a great show I have many fond memories at the show and once I get a job I don’t have to work weekends I will be able to share it again with my daughter.